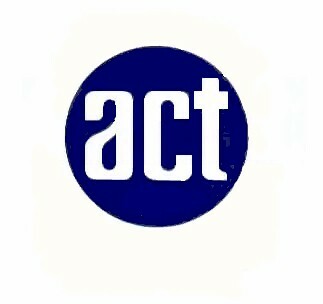 ACT Chapter meetings are held every 4th Thursday of each month. Once upon a time there were no unions in the National Guard Technician Program. The employees were neither state workers nor federal workers. In almost every state there was no retirement system, no health insurance, no life insurance. Employees could not negotiate labor agreements nor did they have access to grievance procedures. Working conditions were intolerable. The answer to the problem was association and in 1960 thirteen New York technicians got together and decided to unite - ACT was born. Today, thousands of technicians have joined and enjoy representation under ACT. For many years, under ACT’s leadership, your fellow employees, many now retired, fought long and hard, with many personal sacrifices, to get federal law changed to provide technicians coverage under the federal employee program. Finally, in 1968 President Lyndon Johnson signed “The National Guard Technician Act of 1968” into law. Vincent J. Paterno, past President of the Association of Civilian Technicians was presented the pen used by the President of the United States to sign this historic bill in recognition of his and ACT’s efforts on behalf of all the National Guard technicians across the country.